An Outstanding Portable Digital Piano. Synthetic ivory keytops let you play in comfort for hours on end. Thanks to the Graded Hammer (GH) keyboard, the lower keys are heavier to the touch and the higher ones are lighter, giving the P-255 the feel of an acoustic instrument. What’s more, the white keys feature synthetic ivory keytops with excellent moisture absorption properties. This ensures that your fingers won’t slip even when playing for extended periods of time. The keytops are also ideal for rapid finger movement, so you can play any type of music with confidence. The P-255 keyboard can also be set to one of four different sensitivity levels. For example, when practicing Hanon exercises, you can configure the keyboard to require a more powerful touch. Alternatively, you can set the instrument to sound louder even when played lightly. 256 note polyphony ensures maximum performance capability. Impressive piano voices reproduce the sensation of playing a concert grand piano. The P-255 uses the Pure CF Sound Engine to produce its piano sounds. This tone generator features the recorded sounds of Yamaha concert grand pianos and can easily replicate the nuances of delicate playing or the power of wide dynamic ranges. Meticulous acoustic design for a more exquisite sound. 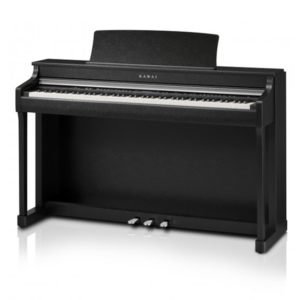 Designed to faithfully emulate an acoustic piano. In terms of sound, Yamaha engineers have taken many steps to make playing a more enjoyable experience, This includes the use of spaces that work as tone escapements, giving the P-255 a clean, rich tone. Optional extras such as the L-255 stand and LP-255 pedalboard make playing the P-255 perfect for use in the home or classroom, as well as on stage. Spice up your performances with built-in rhythm tracks. 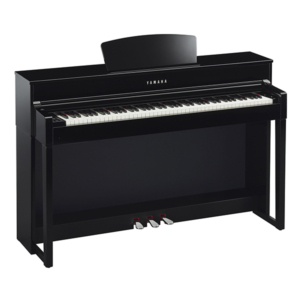 Boasting new rhythm track functionality, the P-255 comes complete with ten different rhythm patterns that are perfectly suited to pop, Jazz, Latin and many other types of music regularly performed on the piano. Using these rhythms, you can easily add spice to your performances and accentuate the mood of individual songs. When you start a rhythm track, the P-255 begins with an intro section; and when you stop it, the instrument plays an ending to bring your song to a conclusion. This function is perfect for singers who accompany themselves and for other live performers. What’s more, you can also adjust the tempo of the rhythm tracks to use them in place of a metronome, which makes practice more fun. In addition to piano voices, you can enjoy playing organs, strings, synth, bass, and a wide variety of other instrument sounds on the P-255. 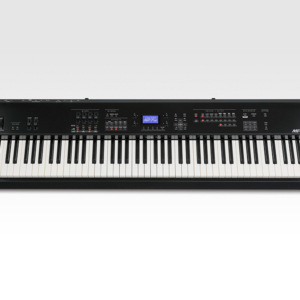 This digital piano also lets you change voices to suit individual songs and to layer different sounding voices, allowing you to explore many other interesting sounds in addition to piano. The P-255 also offers functions to conveniently change the voice, volume, and other settings based on where you are performing. 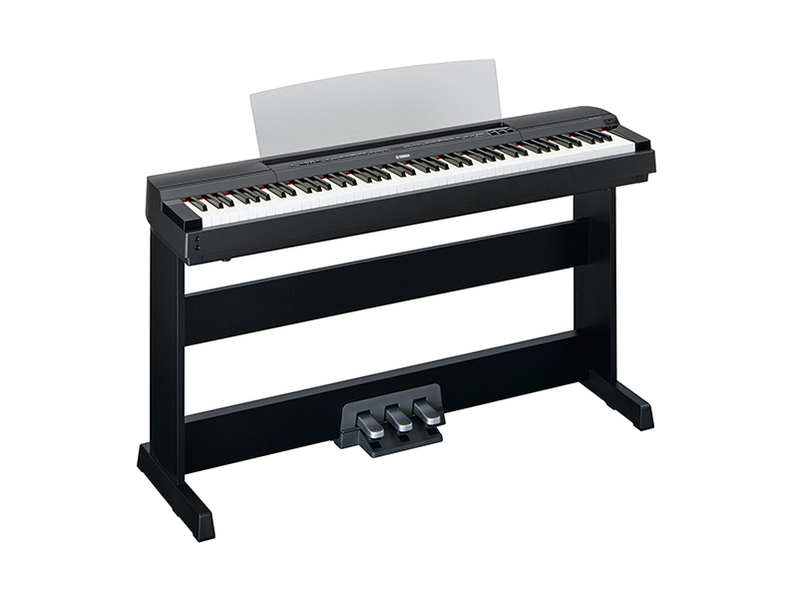 All in all, the P-255 is a highly adaptable digital piano that can be used in many different ways to suit individual needs. Use the EQ sliders to match the sound to personal taste or the performance environment. Sound Boost instantly provides a louder sound with greater presence. Recording and playing back performances using a USB flash drive. Dedicated, intuitive controller app available. 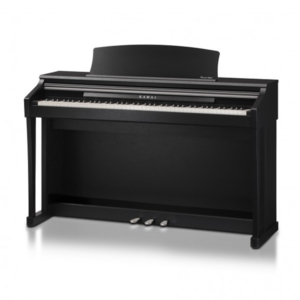 The All-In-One stage piano The MP7SE is the ultimate stage piano for performing musicians. The MP7SE delivers the incredible sound quality of its bigger brother MP11SE in a more compact, portable package. Concert Grand Touch & Tone, Concert Artist Affordability! Featuring Kawai's highly regarded RM3 Grand wooden-key keyboard action, and stunning Progressive Harmonic Imaging sound technology, the new CA13 offers an excellent introduction to Concert Artist quality at an attractive price.